Film surfaced leak barrier, suitable for application under shingle and metal roofs. Mineral surfaced leak barrier, suitable for application under shingle roofs. Now, Protect Your Metal, Shingle, Or Tile Roof With A Waterproof Leak Barrier roofs. Premium leak barrier designed for use under tile roofs. Specialty self-adhering flashing, air, and moisture barrier. 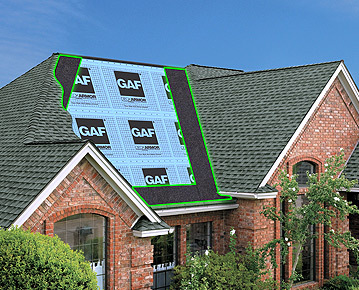 GAF Leak Barriers Part Of Our Lifetime Roofing System!